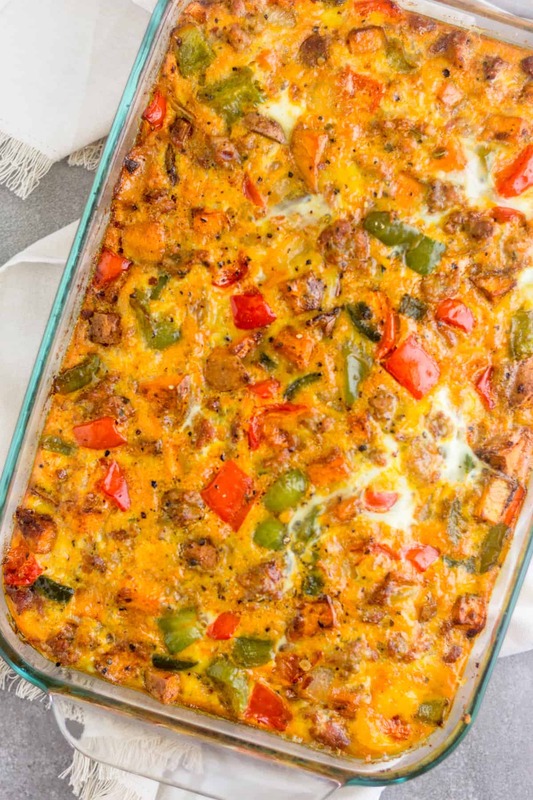 A super tasty and easy breakfast dish, this Whole30 Sweet Potato and Sausage Casserole will be a hit! 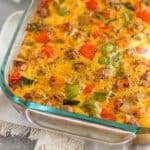 It’s packed with sausage, sweet potatoes, onion, and peppers and seasoned with classic southwestern flavors. 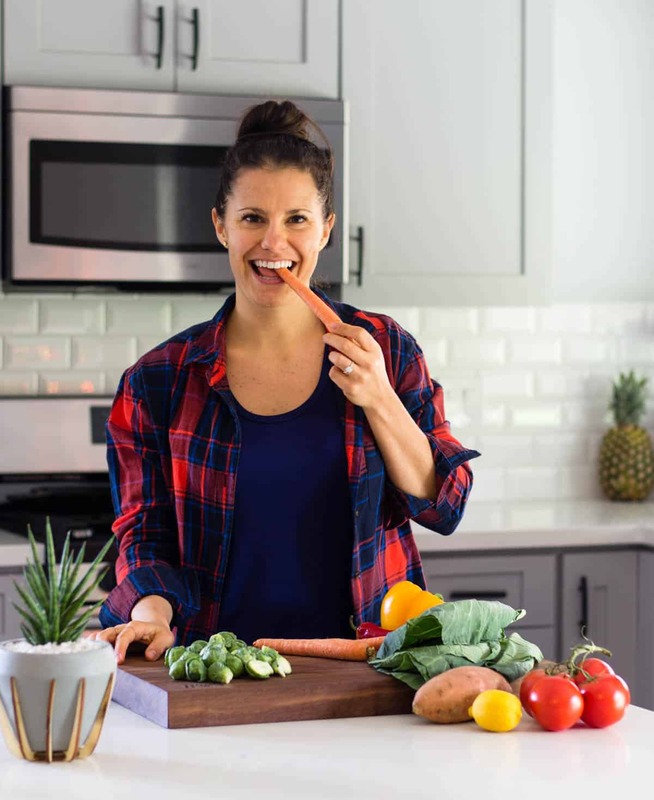 Make it for a comforting brunch or meal prep it to have on hand for the week – paleo, Whole30, gluten & dairy free! 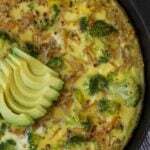 Do you have any food that remind you of home/growing up? Sausage is definitely one of those things for me. My dad loves sausage and he would grill it up during the summer months. It was also his choice of meat when going out to breakfast. Naturally I picked up on his habits and it was my go-to meat of choice at breakfast as well. Bacon was never really a thing in our house, it was always sausage. Now every time I have sausage, it reminds of home and my dad. I don’t have it too often, but every time I do, I remember how much I love it. Especially the spicy kind! With Father’s Day right around the corner, I figured this would be a perfect way to celebrate him! And even better, my whole family is going to be in Austin so we can celebrate together. So cheers to you dad and happy early Father’s Day! To get started on making your sweet potato and sausage casserole, you need your ingredients. 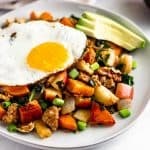 I keep it simple with some classic breakfast staples + a few veggies to give it a southwestern flair. First you need to cook the sausage. Once that is done, you remove the sausage leaving behind the grease so you can cook the veggies in it which gives them some great flavor. 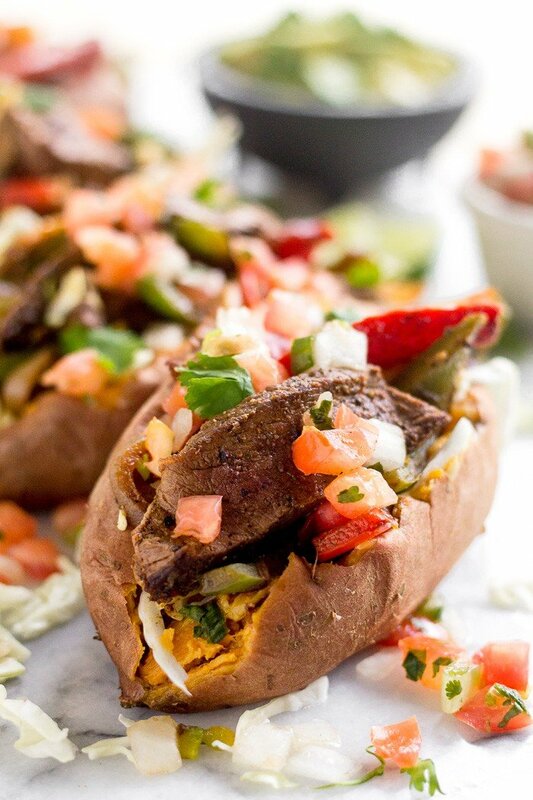 Next you sauté up the sweet potato and onion for a few minutes, add the peppers and cook a little longer, and finish off with the spices. 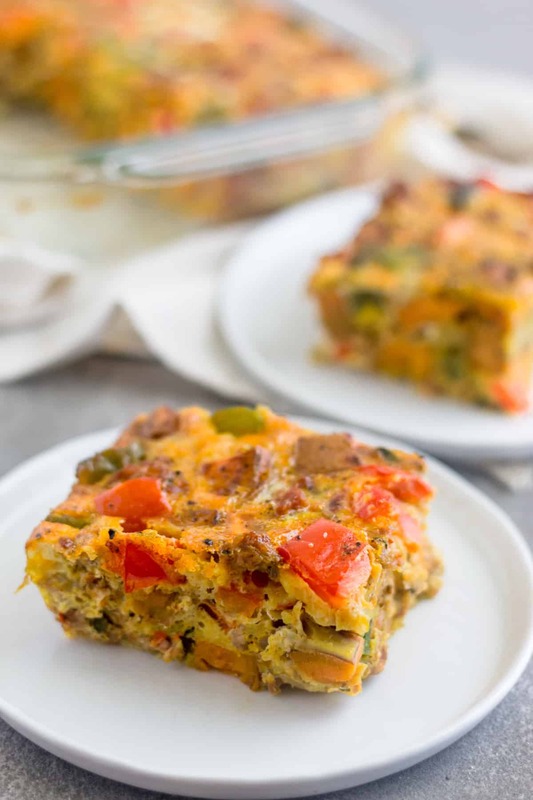 Add the cooked sausage + veggies to a large baking dish along with the whisked eggs and bake! 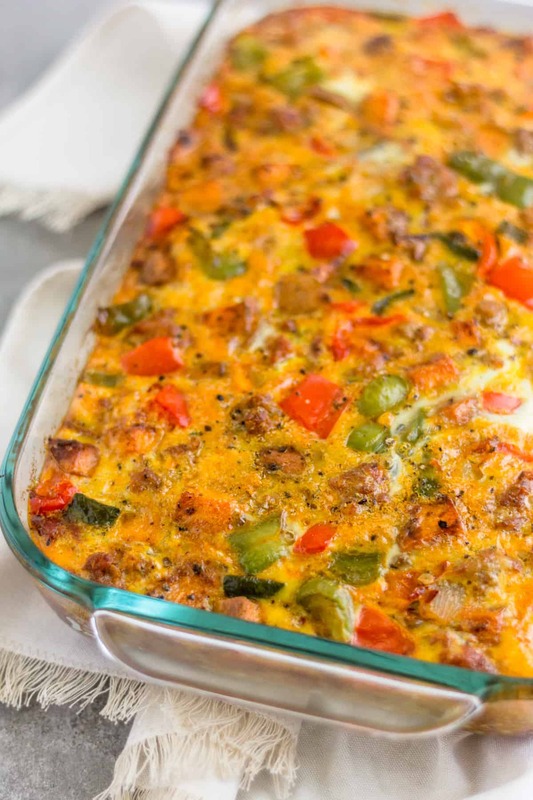 From start to finish, this casserole comes together in just under and hour. 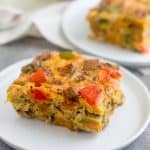 You could definitely cook the sausage and veggies ahead of time and then add the eggs and bake to save some time as well. 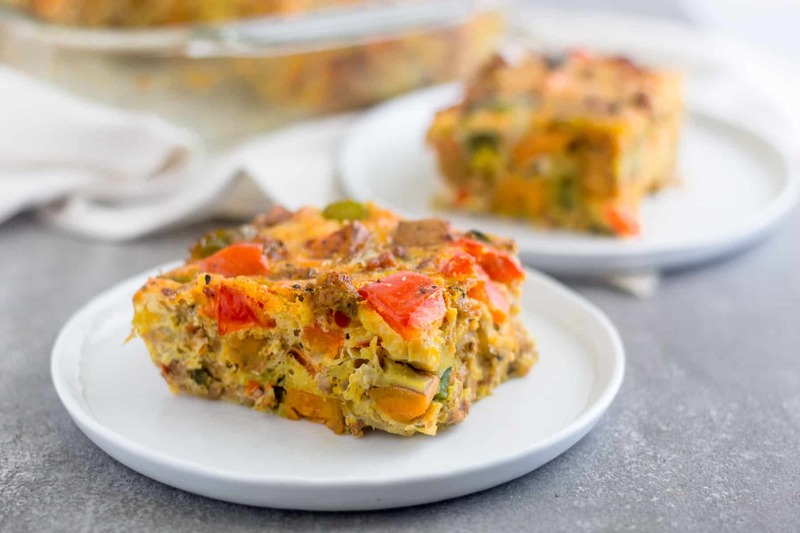 It makes the perfect flavor packed brunch or an easy grab-n-go dish for meal prep. Make it on Sunday and you’ll be set for the week! Yes! Mushrooms would work perfectly! And you are here – yay! !